Among the thousands murdered during the French Revolution, one of the most notorious cases was that of the death of the Princesse de Lamballe, friend of Queen Marie-Antoinette. The fury of the new order of Liberty, Equality, and Fraternity vented itself upon her frail form in a manner of extreme violence. 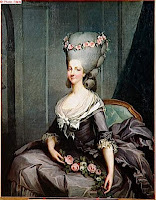 This was as strange as it was hideous, because other than being a confidante of the queen's, Madame de Lamballe could be counted among the more liberal, "enlightened" aristocrats, devoted to works of charity and civil improvements. 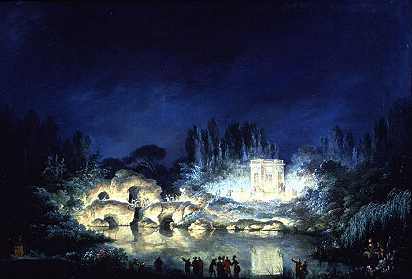 Contrary to the standard depiction of Lamballe as a lovely but simpering idiot, the princess was intelligent as well as cultured. She was the Grande Maitresse of all the French masonic ladies' lodges, for she saw freemasonry as a tool for creating a better world, as did many of her contemporaries. Her liberal politics were one of the reasons, according to scholar Bernard Fay, that King Louis XVI encouraged his wife towards the Polignacs, and away from Lamballe and her Orleanist salon. Madame de Lamballe discovered before the end that utopian politics that seek to create an earthly paradise inevitably lead to social chaos. 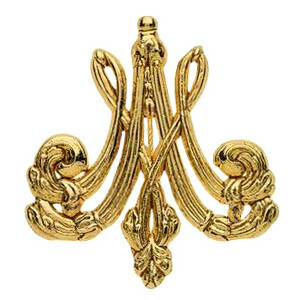 It was at the time of the sleighing-parties that the Queen became intimately acquainted with the Princesse de Lamballe, who made her appearance in them wrapped in fur, with all the brilliancy and freshness of the age of twenty,–the emblem of spring, peeping from under sable and ermine. Her situation, moreover, rendered her peculiarly interesting; married, when she was scarcely past childhood, to a young prince, who ruined himself by the contagious example of the Duc d’Orleans, she had had nothing to do from the time of her arrival in France but to weep. A widow at eighteen, and childless, she lived with the Duc de Penthievre as an adopted daughter. She had the tenderest respect and attachment for that venerable Prince; but the Queen, though doing justice to his virtues, saw that the Duc de Penthievre’s way of life, whether at Paris or at his country-seat, could neither afford his young daughter-in-law the amusements suited to her time of life, nor ensure her in the future an establishment such as she was deprived of by her widowhood. 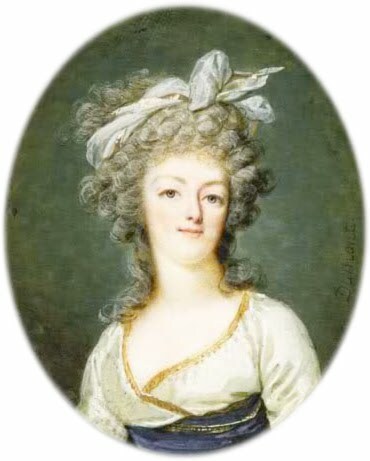 Marie-Antoinette made Madame de Lamballe, known for her virtue and kindness, the Superintendent of her household, which was controversial at the time since there were other courtiers who felt the position was due to them. 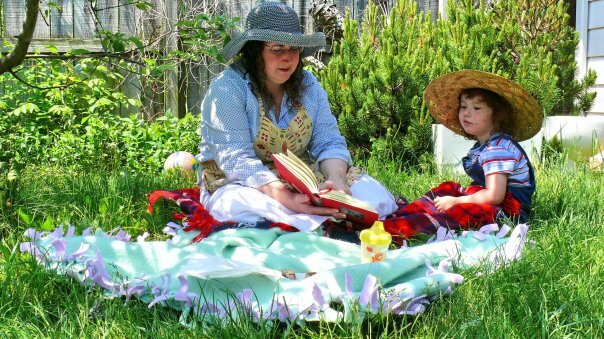 The two women became good friends. The queen was always trying to recapture the home she had left in Austria, where she had been inseparable from her older sister Maria Carolina, who had mothered her a great deal. 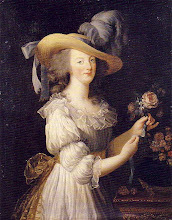 Madame de Lamballe and Madame de Polignac were both roughly the same age as Carolina. However, Lamballe was a bit too intellectual for Antoinette and so the queen, with Louis' approval, eventually became closer to the Polignacs. She always remained friends with Lamballe, however. When the Revolution erupted in 1789, Madame de Lamballe returned to France from the safety of England in order to be share the troubles of the royal family. She became closer than ever to the king's devout sister, Madame Elisabeth of France, and was horrified at how the masonic principles she had thought to be so constructive had led to such a violent revolution. When the royal family was arrested and sent to the Temple prison in August 1792, Lamballe was separated from them and sent to the prison of La Force. 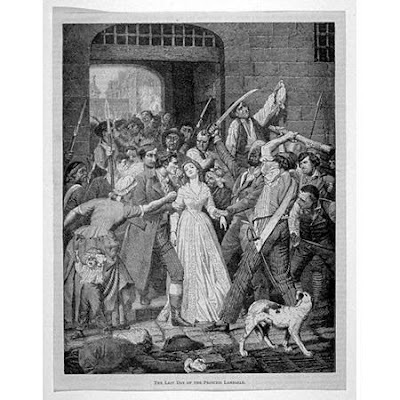 When the September Massacres broke out, in which thousands were killed and the streets ran with blood, Madame de Lamballe was asked to renounce her loyalty to the king and the queen. She refused, and was delivered over to the mob. She was bludgeoned and stabbed to death, and by some accounts raped and mutilated. She was definitely decapitated, and the valet of Louis XVI, Hanet Clery, gave an account of how the mob brought her head on a pike to the Temple prison for the queen to kiss. We were hardly seated before a head at the end of a pike was presented at the window. Tison's wife screamed loudly; the murderers thought it was the queen's voice, and we heard the frantic laughs of those barbarians. Thinking that Her Majesty was still at table, they had raised the victim's head so that it could not escape her sight; it was that of the Princesse de Lamballe. Though bloody, it was not disfigured; her blond hair, still curling, floated around the pike. All revolutions and social changes are prone to excess like this. This lady was, from her class, the less likely to deserve this kind of ghastly end. Unfortunately, she was in the wrong place at the wrong time, and came up to confront the wrong guys. C'est la vie. I always wondered what happened to the other ladies (ladies in waiting, femmes de chambre) who were with the Queen in the Versailles days and at the Tuileries. I know Princess of Tarente, the Tourzel women, Madame de la Roche-Aymon, the Duchesse of Luynes survived the Revolution and that Madame de Ossun died. I belive the Princesse of Chimay also survived. One of the most gruesome deaths in the early days of that barbarous revolution. I find myself today, July 14th, thinking of all the victims of the horrors that began on July 14,1789 and would continue uninterrupted for the next quarter century with Napoleon adding victims by the thousands. 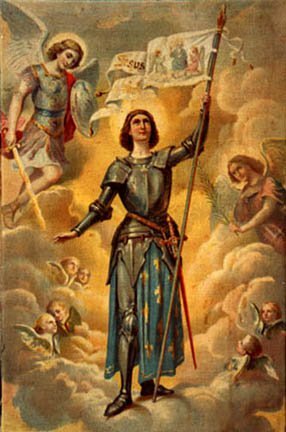 May Princesse de Lamballe and all the victims of the revolution be at peace with God. Thank you! 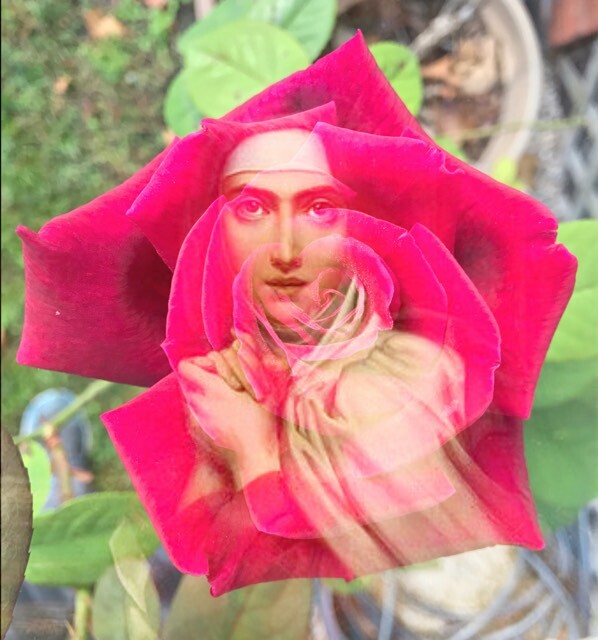 It is Madame de Polignac's birthday, too. Isn't that something?